The White Warrior opens with the kind of sequence that sets Longmire apart from most series on TV – a series of shots of a Native American sitting outside a small, very old-looking building in the middle of nowhere. He sees something and, from his point of view now, we see a cloud of dust and the outline of a truck speeding toward him – it’s Walt (Robert Taylor) and he’s bringing the semi-conscious Branch (Bailey Chase) to what must be a native clinic. Branch has been gut-shot and Walt has stitched the wound back together with fishing line. Shortly thereafter we see Walt chasing down reservation cop Matthias (Zahn McClarnon) who is taking Henry (Lou Diamond Phillips) to jail. Walt gets him to stop in a most unorthodox manner and tells Henry he’s going to get him out. We also see Walt tell his deputy, Vic (Katee Sackhoff), something that comes as a real revelation more for the fact that he’s talking to someone about than for the actual subject (we’ve known this all along, but Walt has never told anyone about it). It’s a sign of how deeply Walt has been affected by Henry’s arrest and Branch’s shooting that he has become so seemingly unravelled. Of course, Branch’s dad (Gerald McRaney) puts in a thunderous appearance and Jacob Nighthorse (A. Martinez) has a rock solid alibi. To further confuse the issue of Branch’s shooting, he is bound and determined that his shooter is a man who died well before the event – committed suicide, in fact. One of the reasons I consider Longmire the best mystery series on television is the writing. Like the novels that inspired the series, it moves at a very deliberate pace and is filled with details that give it a feeling of authenticity. Like the books, the series is a slow burn that gets under skin and really takes hold. Over the show’s first two seasons, we’ve gotten to really know the characters and care about them – and when any one of them does something unusual, we recognize that and expect that we will be able to understand their reasons – if not immediately, then eventually. 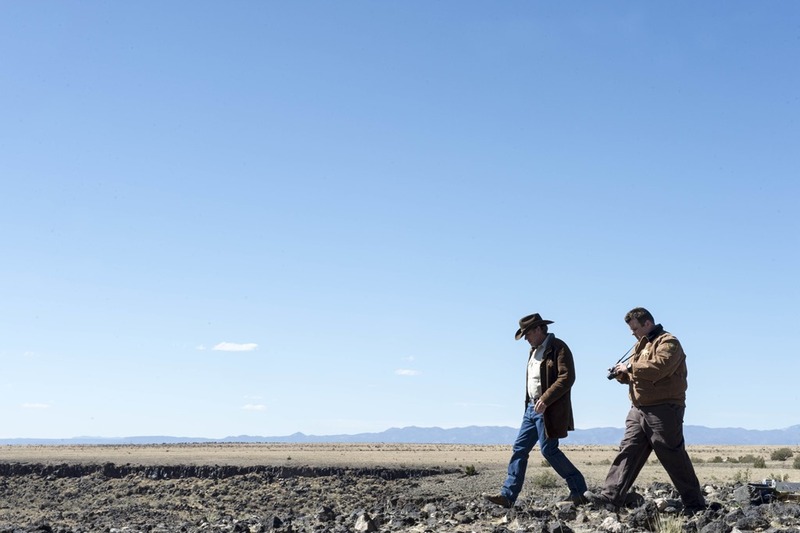 The White Warrior has that slow burn and that intensity we’ve come to expect from Longmire – and the unexpected moments of humor and even unflinching irony. Plus, it’s absolutely gorgeous to look at. Previous PostThe Grand Seduction: Lovely Indie Is a Charm Offensive!Next PostTBS Orders Third Season of King of the Nerds!